Undersheriff Monica McGrath was born in Princeton New Jersey and raised in Hunterdon County. She moved to Ventura California in 1986 after earning her B.S. in Administrative Management at Trenton State College. Monica launched her law enforcement career with the Ventura County Sheriff’s Office as a Deputy Sheriff in 1987. 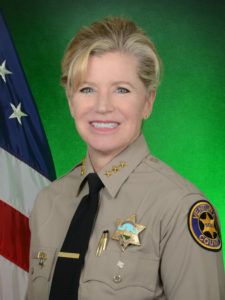 She worked a number of positions throughout the Sheriff’s Office including: Youth Officer/Detective in Camarillo, Academy Recruit Training Officer, East County Sexual Assault Investigator, Internal Affairs Investigator, Personnel Sergeant overseeing background investigations, and Camarillo Property Crimes Detective Sergeant. Monica promoted to Captain and worked as a Patrol Watch Commander until she was selected as the Assistant Chief of Police in Camarillo. After three years, Monica transferred to the City of Fillmore as the Chief of Police. She promoted to Commander in 2014 and was responsible for overseeing unincorporated areas surrounding Oxnard and Ventura and the cities of Ojai and Fillmore. Her last assignment was in 2015 when she was selected for Chief of Police for the City of Camarillo; she retired in October 2016. Monica is an active volunteer and supporter of many community organizations and has excelled in developing community partnerships. In doing so, she was honored with the Domestic Violence Champion for Change Award and the Camarillo Chamber of Commerce Public Servant of the Year award in 2016. Monica is a graduate of the POST Sherman Block Leadership Institute and later worked as an Auditor for the Institute. Having retired in 2016, Monica’s return to service with the Sheriff’s Office at the executive level added an essential depth of perspective and experience needed to help guide the agency into the future. As Undersheriff, Monica serves as the Acting Sheriff in the Sheriff’s absence and she has executive oversight of the entire agency’s operations. Monica and her husband Jack have been married for 25 years and reside in Camarillo. Assistant Sheriff Chris Dunn has more than 30 years of law enforcement service. 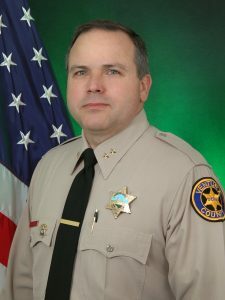 Having begun his professional career as a Ventura County Sheriff’s Cadet, Chris became a Los Angeles County Sheriff’s Department deputy sheriff in 1988. 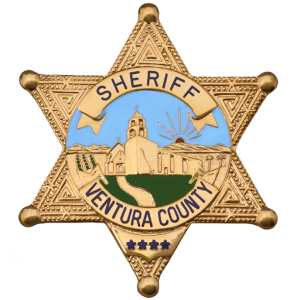 He transferred to the Ventura County Sheriff’s Office in 1994 and has served the citizens of Ventura County for more than two decades. 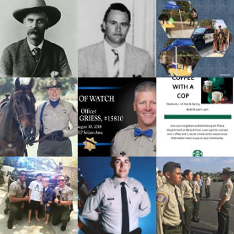 Chris has climbed each of the ranks and worked challenging assignments in every division of the Sheriff’s Office, including major crimes investigator and acting police chief for the cities of Ojai and Camarillo. Most recently as a Commander, Chris was responsible for oversight of Professional Standards, which included the Academy, Range, Audit/Inspections, and Internal Affairs bureaus.Chris is active in the community and spent many years volunteering with AYSO, youth baseball, and the Boy’s and Girl’s Club. In addition to his local community service, Chris recently retired as a lieutenant commander in the United States Navy Reserve. Chris has a Bachelor of Science degree in Business Management. As one of two Assistant Sheriffs, Chris has executive-level oversight of the Patrol and Special Services Divisions. 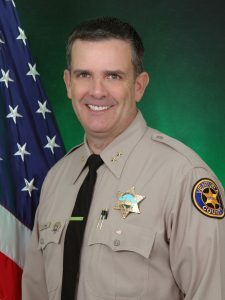 Assistant Sheriff Eric Dowd began his career with the Ventura County Sheriff’s Office in 1989. Over the course of his time with the Sheriff’s Office, Eric has worked in a variety of different assignments including patrol, custody, administration, community development, and professional standards. One of Eric’s most satisfying and rewarding assignments was as the Academy Coordinator at the Ventura County Criminal Justice Training Center. In this capacity, Eric was part of a team that trained newly hired candidates, from multiple jurisdictions, to become entry level peace officers. Eric was born and raised in Ventura County and is a graduate of Buena High School in the city of Ventura. Eric continuously worked on his education by attending night school and eventually earned a Bachelor’s Degree in Business Administration from the University of LaVerne in 2001. Eric was promoted to commander in February of 2015. 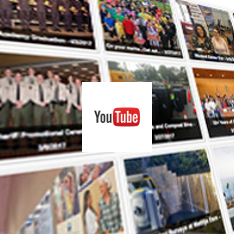 As a commander Eric was assigned to the East County patrol station in Thousand Oaks. Eric was responsible for the patrol operation in the cities of Thousand Oaks and Moorpark. He also oversees the Chaplain Program, Mounted Enforcement Unit, Reserve Program, and the Tactical Response Team. In February of 2017, Eric was appointed to the position of Assistant Sheriff with executive management responsibilities over Detentions Services Division and the Support Services Division.